North American Indigenous Law Portal – A Collection of Primary Sources and Websites. ≈ Comments Off on North American Indigenous Law Portal – A Collection of Primary Sources and Websites. At the recent American Association of Law Libraries Conference, Jennifer Gonzalez, Jolande Goldberg and I had an opportunity to unveil a new Indigenous Law Portal. The Indigenous Law Portal brings together collection materials from the Law Library of Congress as well as links to tribal websites and primary source materials found on the Web. The portal is based on the structure of the Library of Congress Classification schedule for Law (Class K), specifically the Law of the Indigenous Peoples in the Americas (Classes KIA-KIP: North America). But how to organize such a collection of digital resources? Especially when the complexity and availability of resources varies from tribe to tribe. We wanted a structure that would allow us the flexibility to organize and expand as needed. Something that would provide a basic backbone for organizing the materials and also detailed information about the tribes individually and as a whole. The answer to our dilemma came from an unexpected place: a new classification schedule developed by Jolande Goldberg of the Library of Congress Acquisitions and Bibliographic Access Directorate: the Law of the Indigenous Peoples in the Americas. . . . This is an unique legal research tool. It has a wealth of legal resources. There are 167,603 full-text articles by 76,916 authors — in all, 37,817,207 downloads of legal research. But there is more — architecture, arts and humanities, business, education, engineering, life sciences, medical and health sciences, physical sciences and mathematics, and social and behavioral sciences. In total, this website gives you free access to over 800,000 full-text articles contributed from over 300 universities and colleges all over the world. 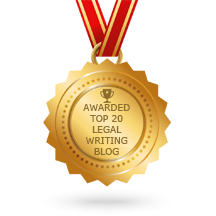 Some of the Best, Free Legal Research Guides on the Internet – no, Wikipedia does not count. 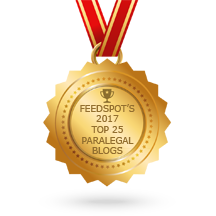 ≈ Comments Off on Some of the Best, Free Legal Research Guides on the Internet – no, Wikipedia does not count. Even when you or your firm have access to Westlaw or Lexis, you may still want or need access to free resources to do your legal research. Most, if not all, states provide a free website for state law (e.g., statutes, case law, state constitution, attorney general opinions, etc.). Perhaps the easiest route is to go to that state’s official government website. The state court’s websites use their own search engines – do not expect each to work the same as the others. Below is a selection of websites that provide comprehensive links to state, federal and, in some instances, international law.